Election promises are made to win elections, but are typically forgotten afterwards. In the lead up to the Victorian State election (tomorrow), crikey.com.au have engaged Leo Burnett Melbourne to ensure the promises made by both major parties are harder to break. 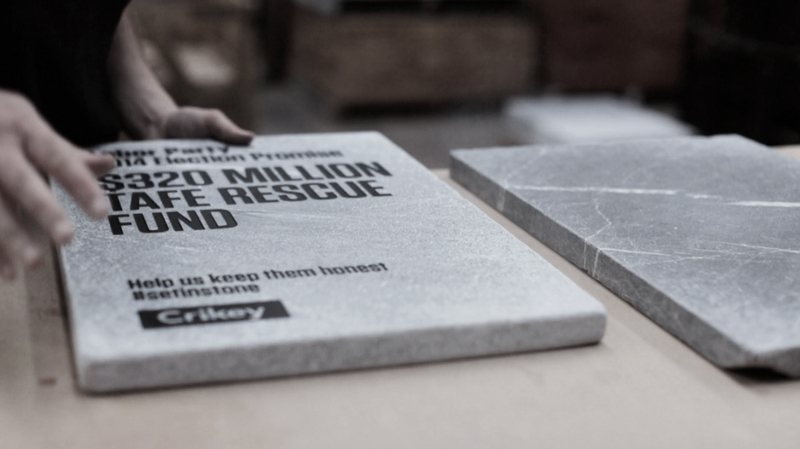 Over the last few days, eight key election promises from both Labor and the Liberal Party have been etched into 19kg chunks of stone. These enduring reminders of what’s been promised were presented to the public by Crikey founder Stephen Mayne on the steps of the Victorian State Library yesterday. Representatives from both parties were invited to come along and stand by their commitments, but failed to attend. Through campaign #setinstone, Victorian voters are being empowered to have their say on which election promises politicians should be held most accountable for. And with voters helping spread these engraved promises, it’s hoped that the party that comes to power will be more likely to fulfill them, rather than break them. 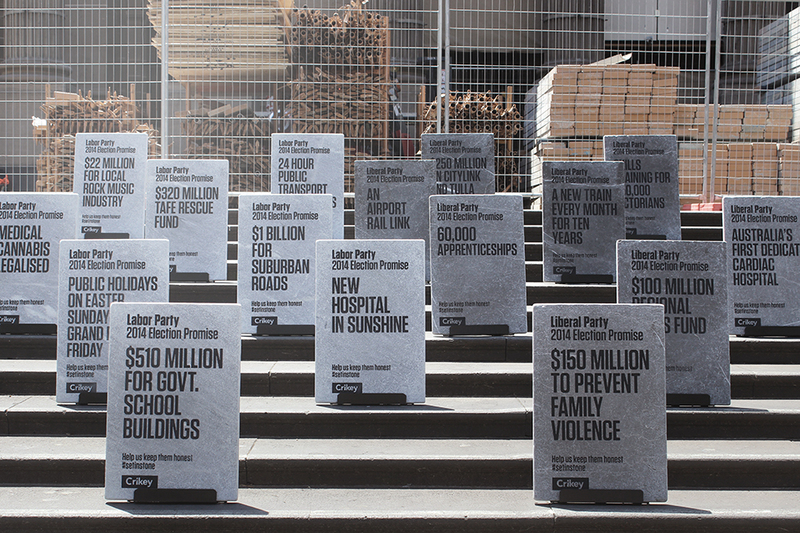 The promises will be displayed outside the Victorian State Library until the election tomorrow.